Like most serious authors I do extensive topic research and love unearthing nuggets of knowledge. 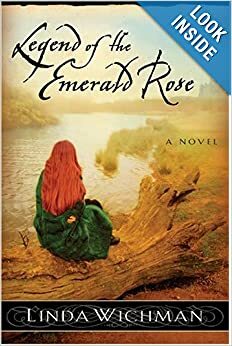 In this post, I touch on some of the spiritual beliefs practiced in my Emerald Rose series. I hope to hear both sides of the spectrum and welcome feedback from anyone who has had experience with; demonic attack, angels, Wicca, Indigo-Star Children, psychics/mediums and spiritism. Example: Spiritism claims to prove the preamble of all religions, the existence of a spiritual world, and to establish a world-wide religion in which the adherents of the various traditional faiths, setting their dogmas aside, unite. We are not to pray to angels, call on them to do our bidding or tell our futures. What is the Christian view of psychics/fortune tellers? The Bible strongly condemns spiritism, mediums, the occult, and psychics (Leviticus 20:27;Deuteronomy 18:10-13). Horoscopes, tarot cards, astrology, fortune tellers, palm readings, and séances fall into this category as well. These practices are based on the concept that there are gods, spirits, or deceased loved ones that can give advice and guidance. These “gods” or “spirits” are demons (2 Corinthians 11:14-15). The Bible gives us no reason to believe that deceased loved ones can contact us. If they were believers, they are in heaven enjoying the most wonderful place imaginable in fellowship with a loving God. If they were not believers, they are in hell, suffering the un-ending torment for rejecting God’s love and rebelling against Him. So, if our loved ones cannot contact us, how do mediums/psychics and spiritists get such accurate information? There have been many exposures of psychics as frauds. It has been proven that psychics can gain immense amounts of information on someone through ordinary means. Sometimes by just using a telephone number through caller ID and an internet search, a psychic can get names, addresses, dates of birth, dates of marriage, family members, etc. However, it is undeniable that psychics sometimes know things that should be impossible for them to know. Where do they get this information? The answer is from Satan and his demons. “And no wonder, for Satan himself masquerades as an angel of light. It is not surprising, then, if his servants masquerade as servants of righteousness. Their end will be what their actions deserve” (2 Corinthians 11:14-15).Acts 16:16-18 describes a fortune-teller who was able to predict the future until the apostle Paul rebuked a demon out of her. Satan pretends to be kind and helpful. He tries to appear as something good. Satan and his demons will give psychic information about a person in order to get that person hooked into spiritism, something that God forbids. It appears innocent at first, but soon people can find themselves addicted to psychics and unwittingly allow Satan to control and destroy their lives. Peter proclaimed, “Be self-controlled and alert. Your enemy the devil prowls around like a roaring lion looking for someone to devour” (1 Peter 5:8). In some cases, the psychics themselves are deceived, not knowing the true source of the information they receive. Whatever the case and wherever the source of the information, nothing connected to spiritism, witchcraft, or astrology is a Godly means of discovering information. How does God want us to discern His will for our life? God’s plan is simple, yet powerful and effective: study the Bible (2 Timothy 3:16-17) and pray for wisdom (James 1:5). And still–millions of professed Christians believe and engage in some form of the occult. Why? If you’d rather not respond here, write me: lmwichman@outlook.com. Anything you privately share will remain confidential.